Oil prices retreated in Asian trade on Tuesday, halting a run of eight straight days of gains on signs that a persistent rise in U.S. crude production is running out of steam, according to Reuters. Brent crude futures had fallen 28 cents, or 0.6 percent, to $49.40 per barrel by 0547 GMT, Reuters said. U.S. West Texas Intermediate (WTI) crude futures were trading down 23 cents, or 0.5 percent, at $46.84 a barrel. The falls came after both benchmarks recovered around 12 percent from their recent lows on June 21. Many traders closed positions ahead of the U.S. Independence Day holiday on July 4, while Brent also faced technical resistance as it approached $50 per barrel, traders said. Read alsoReuters: Oil prices rise on first drop in U.S. drilling in monthsDespite this, the market's outlook has shifted somewhat. 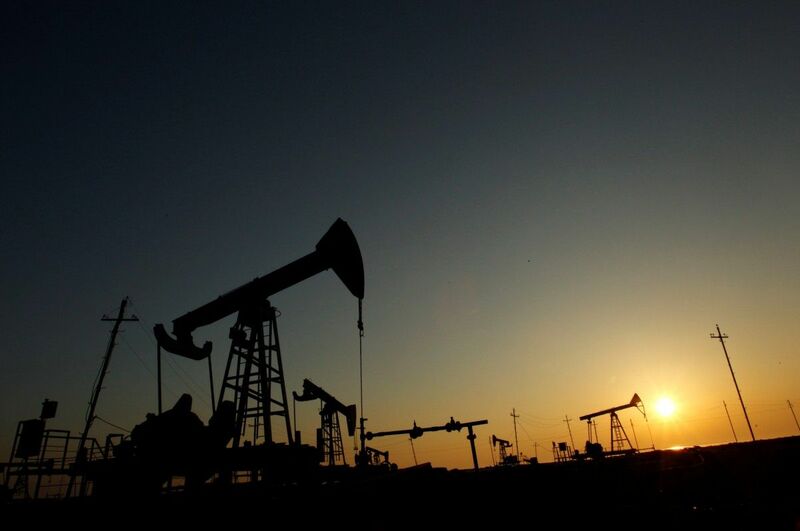 Late May and most of June were overwhelmingly bearish as U.S. output rose and doubts grew over the ability of the Organization of the Petroleum Exporting Countries (OPEC) to hold back enough production to tighten the market. But sentiment began to shift towards the end of June, when U.S. data showed a dip in American oil output and a slight fall in drilling for new production. "We see a recovery for oil prices in H2 2017 from current levels, with OPEC production cuts, a slowdown in global supply growth and seasonally firming demand driving up prices," BMI Research said, although it added that "large-volume supply additions will keep price growth flat year-on-year in 2018". BMI said it expected Brent to average $54 per barrel in the second half of this year, and to average $55 a barrel in 2018. It expects WTI to average $51 in the second half of 2017 and $52 next year. ANZ bank said on Tuesday that the dips in U.S. production and drilling were "a small but significant shift in the dynamics in the oil market" and that this would take some pressure off OPEC's struggling efforts to rein in oversupply. OPEC is leading a bid to tighten oil markets by pledging to hold back around 1.2 million barrels per day (bpd) in output between January this year and March 2018. Its efforts have been undermined by rising production from Libya and Nigeria, who are exempt from the cuts, which helped push the group's June output to a 2017 high of 32.57 million bpd, about 820,000 bpd above its supply target. "The threat of markets being oversupplied still continues," said Sukrit Vijayakar, director of energy consultancy Trifecta.